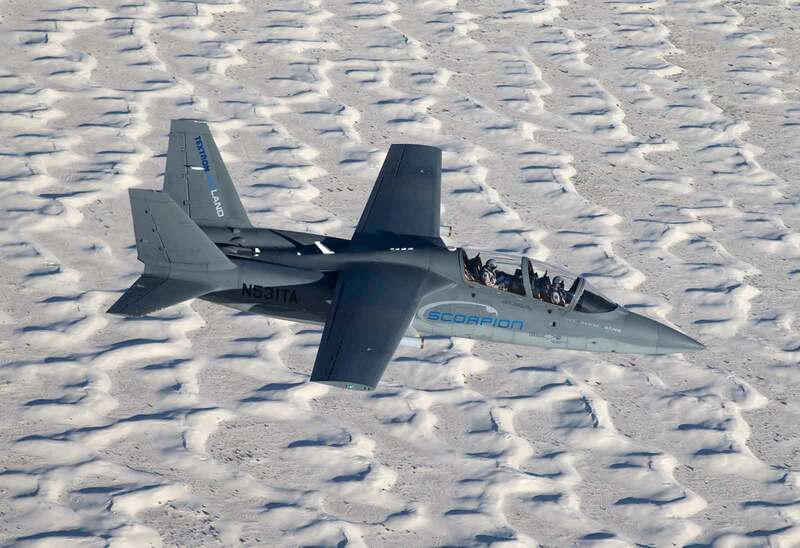 Textron AirLand has announced that the Scorpion jet has successfully completed its first weapons exercise at White Sands Missile Range, while operating from Holloman Air Force Base (HAFB) in New Mexico. This exercise effectively demonstrated the jet’s close air support mission capability through the successful deployment of three widely used weapon systems. The weapons system design, integration and flight test coordination for all three weapon types were achieved in an impressive time span of less than three months. The weapons testing program occurred Oct. 10-14 in coordination with the Naval Sea Systems Command (NAVSEA) organization and the 586th Flight Test Squadron from HAFB. All weapon types performed flawlessly and included Hydra-70 unguided 2.75-inch rockets, BAE Systems’ Advanced Precision Kill Weapon System (APKWS) and AGM-114F Hellfire Missiles. The weapons were guided to their targets using first a ground-based laser designator system and then an airborne laser on the jet‘s L-3 WESCAM’s MX-15Di sensor suite. 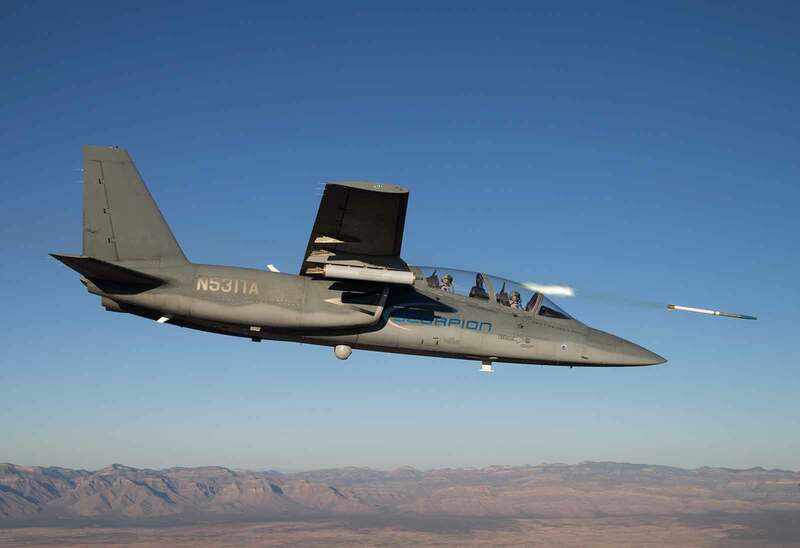 “The success of the first weapons capability exercise is a major milestone for the Scorpion program as we continue to demonstrate its mission flexibility and multi-role capabilities,” said Tom Hammoor, senior vice president of Defense at Textron Aviation. 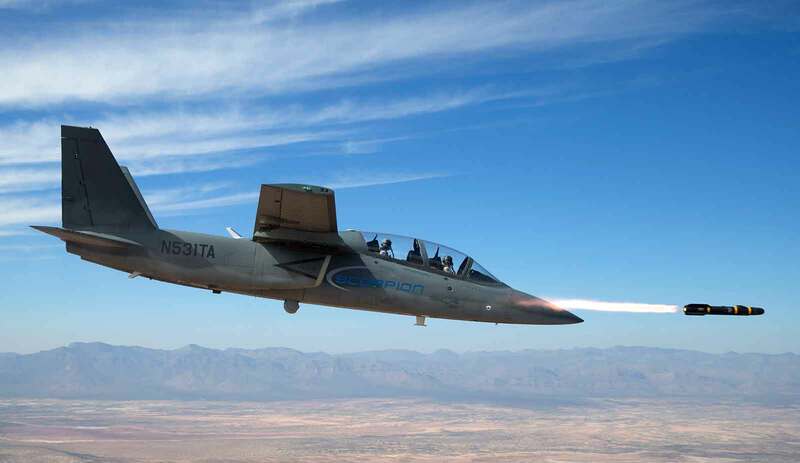 The first Scorpion prototype continues its robust flight test program, while the first flight of the first production conforming jet is expected soon.